Will it be as cool as what Parker or Izzy brought? What is something that I can share and tell a story about? Well, this is exactly what Dexter is worried about. He can’t wait to be the guest at Show and Tell Day. He knows he is Jack’s favorite toy and he is sure he will be chosen for Show and Tell Day. But, then he starts to have second thoughts. Maybe he isn’t a cool as some of Jack’s other toys. Maybe the other kids at school won’t think he is as fun as Jack thinks he is. Dexter tries to come up with ideas to make himself cooler like dressing in a costume (Elvis was my favorite) or trying a new dance routine. None of them seem to be the right thing and he starts to get worried. Eventually, Show and Tell Day arrives and all goes well. Dexter is a hit. But, the silliness and real nervous emotions from Dexter will make kids love this story. This book is perfect for kids that get nervous about anything, like the first day of school, a doctor appointment, a play date, or a field trip. Seeing how Dexter handles his worry and nervousness will put kids’ minds at ease and show them that just being themselves will make whatever seems so scary a piece of cake. 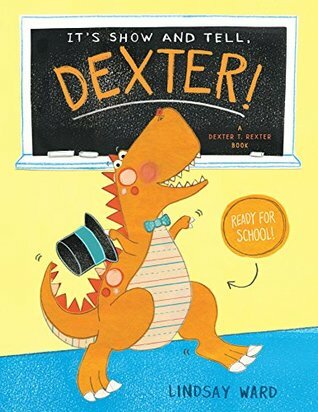 Dexter is hilarious and this book is the perfect read-aloud book for a library storytime, classroom circle time, or snuggle time on the couch. There are so many exclamations and voices that the reader can use to make the book even more exciting. 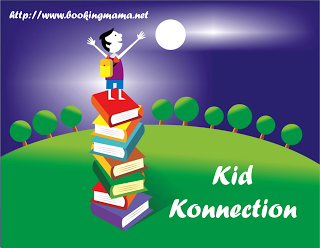 It is one kids will want to read over and over again. I’ll be sticking this one in my sub bag for my younger elementary classes. I know it will be a hit! There is also a super fun Dexter T. Rexter coloring sheet to go along with the book. You can print off a copy, HERE. Lindsay Ward is the author of the Dexter T. Rexter book DON’T FORGET DEXTER!. Though she never got to bring an orange dinosaur to Show and Tell Day, she did once take all four albums of her sticker collection. 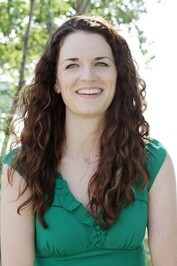 She is also the author and illustrator of BROBARIANS, HENRY FINDS HIS WORD, and WHEN BLUE MET EGG. Her book PLEASE BRING BALLOONS was also made into a play. Most days you can find Lindsay with her family, writing and sketching at her home in Peninsula, Ohio. For more information about Ward, check out her website, HERE. I remember Show and Tell when I was a kid but my son never experienced it. I think this book sounds adorable!